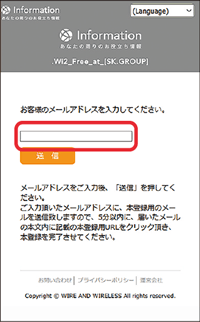 SSID: Select the “.Wi2_Free_at_[SK.GROUP]” in the setting screen of your device and open the browser. Sign in with SNS account, tap the button of SNS you using (Facebook, Twitter or Google). Type-in ID & Passwords on the log-in page for activating your account. You can use the Internet ! 60 min/three times per day available. To keep connecting to Wi-Fi over 60 min. Please sign up again. Type-in your email address, Tap “Send” for temporary registration. Within 5 min, please TAP listed URL on the email you received for completing the registration. 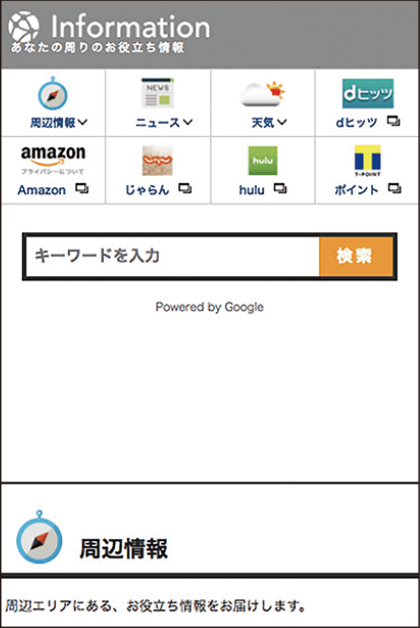 利用に登録は必要ですか？Do I need to register an account to use this service? はい。上記のいづれかの手順で登録してください。Yes. 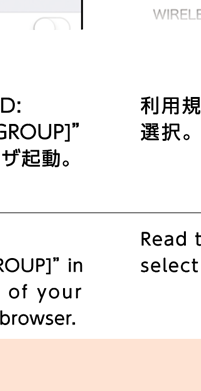 Please choose the one of the procedures as shown above for registration. 利用に料金はかかりますか？Is there a charge for this service?  いいえ。無料でご利用いただけます。No, It’s free of charge. PCでも利用できますか？Can I use this service on a PC? 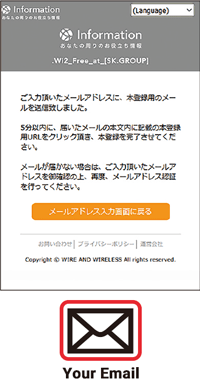 はい、できます。パソコン、タブレットPC、スマートフォンなどで利用可能です。Yes, You can use it on PC, tablet PC, and smartphone. ログイン画面が表示されません。The login screen does not appear. 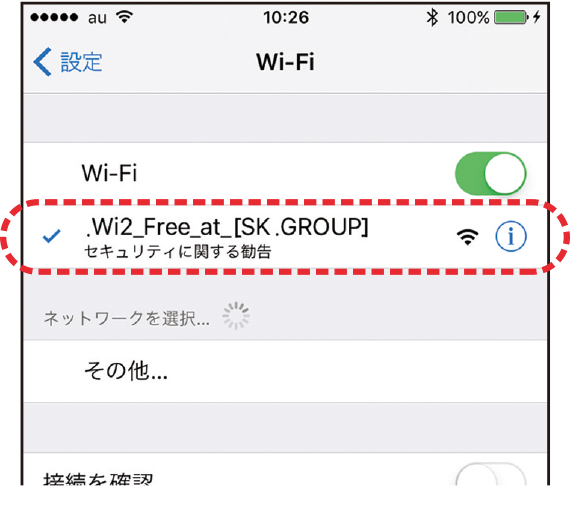 接続できない場合は下記お問い合わせ先へご連絡ください。Are you connecting to SSID ".Wi2_Free_at_[SK.GROUP]" yet? 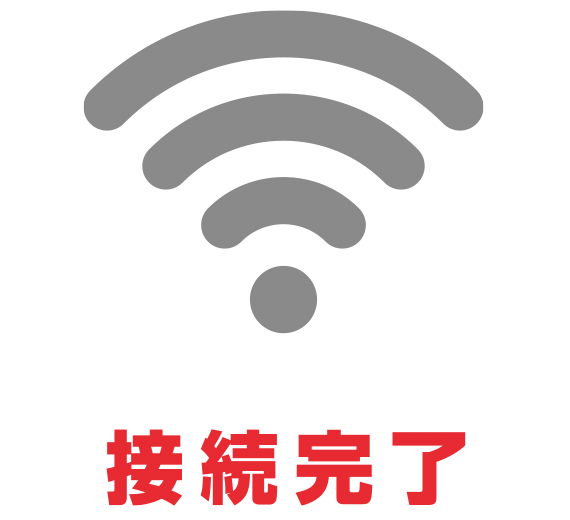 (Please connect to SSID ".Wi2_Free_at_[SK.GROUP]" ) When you could not view display for login despite connected the SSID,Please input "a.wi2.cc" in the address bar. If all else fails,please contact to the following contact URL. 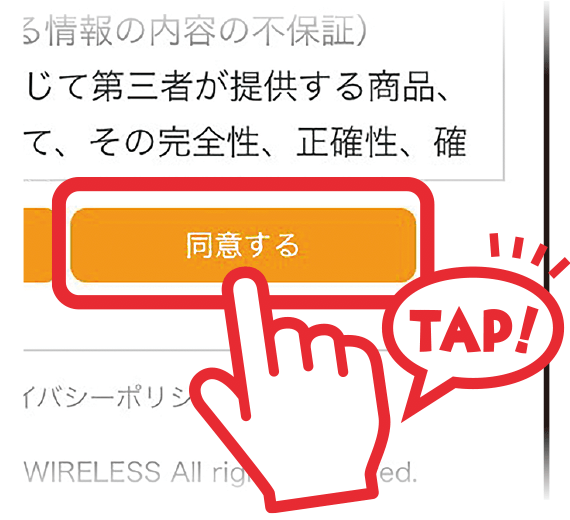 利用制限はありますか？How many minutes can I use? はい。1回の認証につき60分間利用可能です。60分経過後は再認証で接続可能となります。（1日3回まで）Yes, You can use the Internet for 60 min/three times per day.